In 1997, Michelle Johnson graduated West Virginia University College of Law. With almost 20 years of experience under her belt, Ms. Johnson has worked with cases involving auto accidents, premise liability, wrongful death, intentional acts, Mandolitis, product liability, nursing home negligence and medical malpractice. 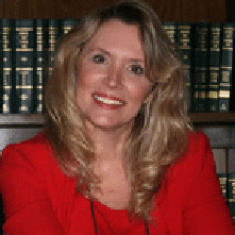 Michelle Johnson has worked in the federal district, state circuit, and magistrate courts in numerous bench trials, jury trials, and before Administrative Law Judges. On top of all of the experience Michelle has in the court, she is also a Professional Registered Nurse. With 30 years in the nursing field, Michelle can help you better than any attorney in the Charleston area when it comes to Personal Injury, Social Security Disability, and Supplemental Security Income. Do not hesitate to call us today at Johnson Law Office for the best of the best legal help in the Charleston area. Michelle has worked as a liaison with physicians, pharmacists, respiratory therapists, physical therapists, family members and patients to facilitate local patient care. In her nursing career, she worked primarily in the areas of trauma, intensive care, orthopedics, neurology, neurosurgery, cardiac care, medical surgical nursing and has also practiced in nursing homes and home health.